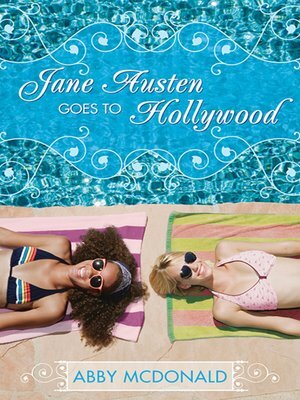 Abby McDonald gives L.A. the Jane Austen treatment in this contemporary take on Sense and Sensibility. Hallie and Grace Weston have never exactly seen life eye to eye. So when their father dies and leaves everything to his new wife, forcing the girls to pack up and leave San Francisco for a relative's house in shiny Beverly Hills, the two sisters take to their changing lot in typically different styles. Shy, responsible Grace manages to make friends with an upbeat, enterprising girl named Palmer but still yearns for her old life—and the maybe-almost-crush she left behind. Meanwhile, drama queen Hallie is throwing herself headlong into life—and love—in L.A., spending every second with gorgeous musician Dakota and warding off the attention of brooding vet Brandon. But is Hallie blinded by the stars in her eyes? And is Grace doomed to forever hug the sidelines? Abby McDonald is the author of four other young adult novels with Candlewick Press. Originally from England, she now lives in Los Angeles.